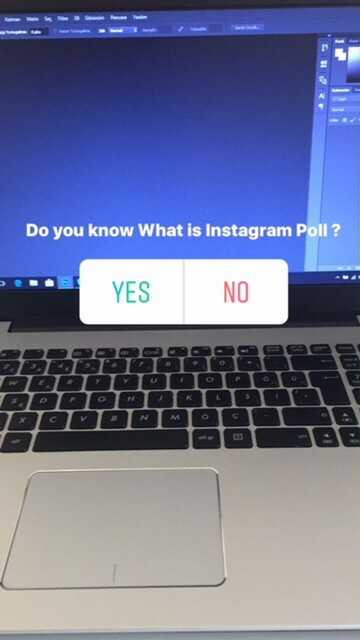 What is Instagram Poll ? How To Create a Poll in Instagram Stories ? How To Create a Poll in Instagram Stories ? What Is Instagram Poll ? Instagram poll feature available in Instagram stories. If you want to know your followers opinion about your story post you should start a poll in stories. First step is creating a story. Creating story is almost known from everybody. But if you don’t know we can tell you with very understandable and short sentences. First you need to update your Instagram app then open it and take a look at top left of your phone screen. You will see a camera icon from there and tap on it. Now you are ready to share your Instagram story post. Take a photo to anywhere or anyone then swipe the screen from bottom to top. You will see a deep menu but you need to select POLL feature in there. Then a yes or no selection will appear front of your screen. Write a question top of them and confirm the poll. But if you don’t want to make yes or no poll you can also change your poll’s answers. In poll question you can only use 26 characters and you have only two response option for now. When you confirm your poll, you can share your story with your followers. While your poll getting vote you can see which answer is more popular. Get to Instagram and your story then open the story statistics and see who joined your poll who said yas who said no. It’s a open survey and you can see who choose yes who choose no. Previous Previous post: How to Create a New Location on Instagram via Facebook ? Next Next post: How to Fix Unfortunately Instagram Stopped Error ?